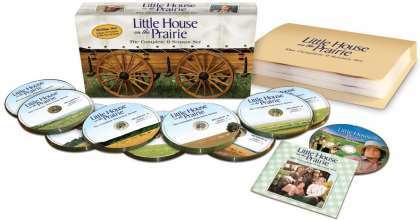 The Little House on the Prairie TV show was a 60 minute drama series on NBC that featured the Ingalls family's struggles to survive the harsh life of pioneers in the 1800s on the Kansas plains. As time went by, they prospered in this new land but, of course, there were continuing challenges to their prosperity. Luckily, their love, "close-knit" family life and wonderful friends were always there to help them endure. The town was actually blown up in the Little House On The Prairie TV special titled, "The Last Farewell". Instead of allowing the "bad guys" to bulldoze the town, Michael Landon wrote the script so that the town's residents could "hold their heads high" by destroying it themselves! At the tender young age of eleven, Shannen Doherty (Beverly Hills 90210) played Laura and Almonzo's niece during Little House's final season. She also appeared in all three "reunion" movies! 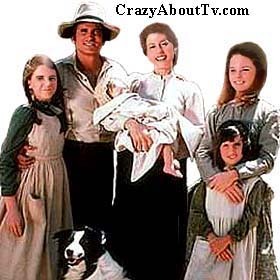 Michael Landon's daughter (Leslie Landon) appeared in the last 3 Little House On The Prairie TV Specials as Etta Plum. She also appeared in some regular episodes. Melissa Gilbert was the youngest person ever to get a star on the Hollywood Walk of Fame! The TV show was nominated for 11 Emmys and won 3. It was also nominated for 3 Golden Globes but didn't win any. Michael Landon's first movie role was in "These Wilder Years (1956)" starring James Cagney, Barbara Stanwyck and Walter Pidgeon. He was the young man in the pool hall scene and was not listed in the movie's credits. 500 Girls were auditioned for the part of Laura Ingalls. Melissa Gilbert was the only one who got her screen test sent to be considered at NBC Studios! The Complete Series on 55 Dvds! Thank you for visiting our Little House On The Prairie page!